Not all chiropractic offices are the same. The Seattle chiropractic doctors at Belltown Spine & Wellness practice the state-of-the-art corrective biophysics technique: Clinical Biomechanics of Posture®, a.k.a Chiropractic Biophysics®. Chiropractic BioPhysics is a highly-advanced, scientific, most effective and proven chiropractic technique which corrects and restores your spine back to alignment, and alleviates pain and discomfort from its source. It combines biology, physiology, physics, geometry, and anatomy to identify the causes of your pain, discomfort, loss of mobility, and altered health. This technique uses Mirror Image® exercise, adjusting and postural traction to correct spine and posture deviations back towards normal alignment. That means your diagnosis – and treatment – will be based on sound scientific and chiropractic principles. This system combines isometric exrecises, mirrior image adjustments and variuos forms of traction to restore function and spinal posture. CBP (Chiropractic Biophysics) has also developed targeted home care programs to support and stabilize your spinal condition. This technique allows for specialized programs and is not a cookie cutter, one fit all program. Your care will be targeted for you and you will be able to gain access to the most advanced, complete spinal rehabilatative program available. Traditional chiropractic is the most common type of service offered in Seattle, but our patients have discovered that chiropractic care has many different stratagies. Studies have shown how adjustments to the neck or low back results in quicker, cheaper and more effective pain relief than other treatments such as drugs, physiotherapy, exercise or back school. Traditional chiropractic care may have helped your problem originally, but it eventually may return because the structural problem has not been corrected. Belltown Spine & Wellness Chiropractic's spinal program comes in. It is integrated spinal care center is distinct and different than the spinal care most people have had in other chiropractic offices. Our corrective system starts where most other systems end. We have a targeted 4-step program designed to not only get you relieve pain as quick as possible, but balance and strengthen your structure so the condition doesn't return. From the front view, your spine should be straight and vertical, and from the side, your spine should have normal alternating curves to allow for normal pain-free, maximal range of motion and movement. 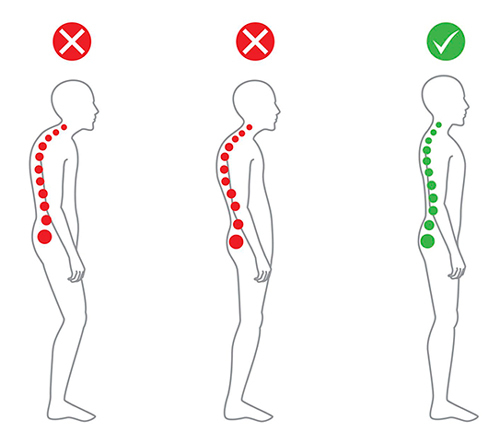 From the front, the ideal posture is symmetric and the spine is straight. From the side view, the head, rib cage, pelvis and feet are vertically balanced. The spine has essential curves in the side view. These curves have specific normal angles that can be measured from x-rays. The doctors at Belltown Spine & Wellness are your Seattle spinal rehabilitation specialists. We provide a structural and postural spinal rehabilitation program that are called Clinical Biomechanics of Posture® or CBP. CBP is an the most advanced and researched method that looks at restoring spinal alignment and posture as part of a complete Spinal Rehabilitation system. 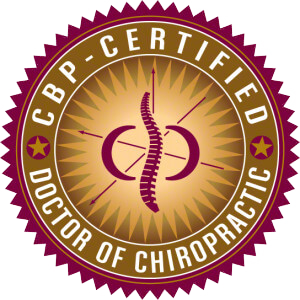 CBP treatment is an advanced method that goes beyond traditional Chiropractic adjustment techniques by integrating spinal rehabilitation. All of our custom spinal rehabilitation programs are based on published clinical trails for patient outcomes that include exercise, adjustments and Mirror Image® exercise, traction and/or body weighting. Our Spinal Rehabilitation program is similar to the way Orthodontists change the structure of their patients' teeth. Example Before, After 10 weeks of treatment, and 1 year follow up x-rays of a patient with a cervical kyphosis whose curve has been corrected towards a cervical lordosis with the Cervical Denneroll and other interventions. Image ©Copyright CBP Seminars and Deed Harrison, LLC. An “adjustment” is the term used to describe a technique used by a chiropractor to realign and balance the patient’s spine. Traditional chiropractic adjusting entails the chiropractic doctor mobilizing with his or her hands in a specific and skillful way an area of the spine. The adjustment creates a gapping effect within the joint. This relieves the local tension within the joint, reduces stress on adjacent nerves and creates many beneficial effects. Sometimes our Seattle Chiropractor - doctor may use a special drop table to assist in adjusting, or use a hand-held instruments (Activator, Impulse or arthrostim) to deliver the adjustment as well. Our doctors use the latest technologies in spinal care, providing the highest level of service available.